'Tis the Season to Save Budget Sheet (in red) -This savings sheet will allow you to create a customized budget based on the amount of money you and your family intend to save for the holidays. Note: The savings formula will only work if you save the sheet as a PDF and view in Adobe Acrobat/Reader, or save and view in your internet browser. 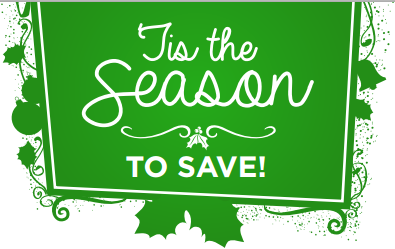 'Tis the Season to Save Budget Sheet (in green) - This is a good option for you if you aren't sure how much you will need to save for the holidays. This sheet comes with pre-filled savings amounts each week in order to reach $650 before Christmas, which is the average amount consumers spent during the 2014 holiday season. 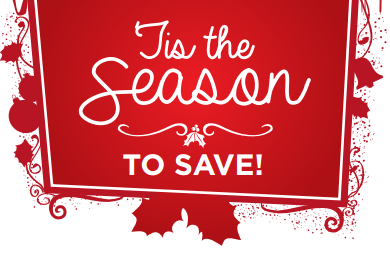 The savings plan begins the week of June 29th and will end Christmas week. The savings formulas are designed to allow you to start saving a small amount of money each week, while gradually increasing your weekly savings until the halfway point, which puts you at the end of September. At this point, you will have saved up almost 90% of the total amount you need to avoid going into debt. Then you save a little less each week leading up to December, so you can start shopping for gifts and ease the strain of trying to save a large amount of money during the final weeks before Christmas. Also included with each savings sheet is a 'Tis the Season Printable to label your jar or envelope where you stash your cash so you can watch your savings grow each week! To get a jump-start on holiday planning, check out our Christmas on a Budget Pinterest Board for holiday savings tips, gift ideas, and more. If you find yourself struggling to payoff leftover debt, or if you want to get a head start on your savings, make sure you enter for a change to win our Shred Your Debt Sweepstakes. CompareCards will be awarding two lucky winners in the amount of $2,500 to the first place winner and $1,500 to the second place winner. Entries will be accepted starting June 29, 2015 and our last entry will be received July 30, 2015 at 11:59 pm EST. Check out our blog for additional sweepstakes rules and 5 tips to shred credit card debt. This article originally appeared on www.comparecards.com/blog: 26 Weeks to Save for Christmas.